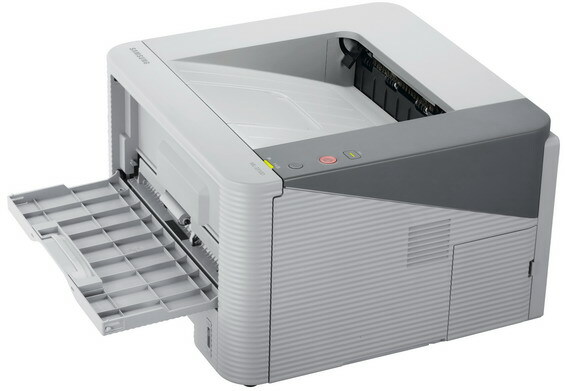 A new Xerox printer, the ColorQube 8570, is designed to meet the needs of small and medium-sized businesses and corporate customers for daily office printing. As the producer notes, the main distinctive feature of ColorQube 8570 is the use of solid ink technology, which allows making color printing affordable for users, providing performance, print quality and reliability in using the machine. Solid ink ColorQube 8570 replaced its predecessor — Phaser 8560. All subsequent solid ink Xerox machines will be produced under a single brand, ColorQube. ColorQube 8570 suitable for working groups of 10 to 15 people. According to Xerox, ColorQube 8570 is one of the fastest A4 printers, with the speeds of up to 40 pages per minute, first print out time is just 5 seconds. The maximum monthly load is 85 thousand impressions per month. Such increased reliability is achieved by the printer design: the device has less moving parts than laser printers and no fuser. Solid Ink technology enables more contrasting, bright and high-quality color prints with high color accuracy, as well as to print on a textured paper and various materials that are sensitive to heat. 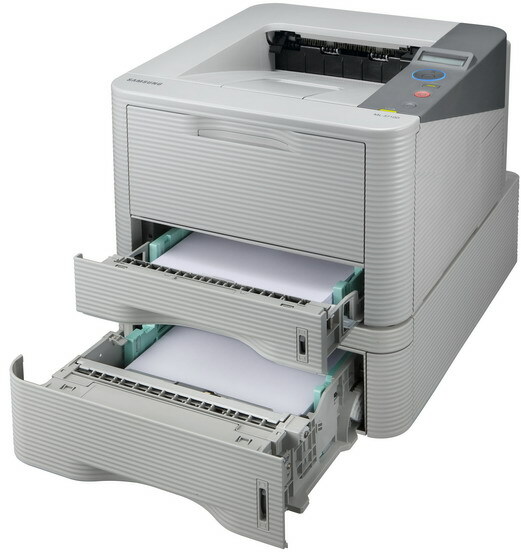 In a typical configuration the printer is equipped with a 1 GHz processor, 512 MB memory, upgradeable to 2 GB, supports connection to a network 10/100/100 Base-Tx and running the Adobe PostScript 3. Option to ColorQube 8570 can be purchased hard drive with 160 GB wireless adapter, floor stand for storage of supplies and accessories, as well as additional paper trays. 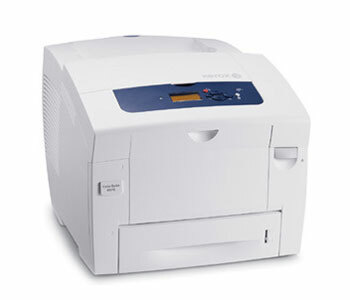 Samsung Electronics rolls out ML-3310 and ML-3710 monochrome printer series for small and medium-sized businesses. According to the developers, the printers are easy to use, have high reliability and performance, which facilitates and accelerates the work in the office environment. It is no secret that this aspect is very important for consumers when they choose a printer, as well as the machine’s operational time. Having this in mind, Samsung engineers have designed their new products so that the paper does not not stuck. According to the company, the devices are laso easy to maintain. Thanks to the self-diagnostic system, any problems are resolved quickly and successfully. The capacity of the additional paper tray has been extended up to 520 sheets so that paper needs to be changed less frequently. 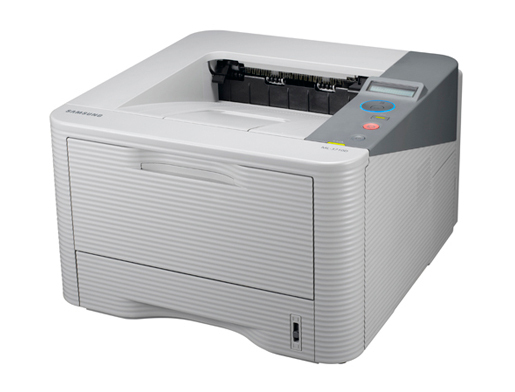 Worth mentioning is the fact that for the Samsung ML-3310 and Samsung ML-3710 the noise level has been reduced down to 52 dB, which provides a comfortable atmosphere not violated by the loud sounds of office equipment. The Eco button on the front panel activates the toner saving mode. 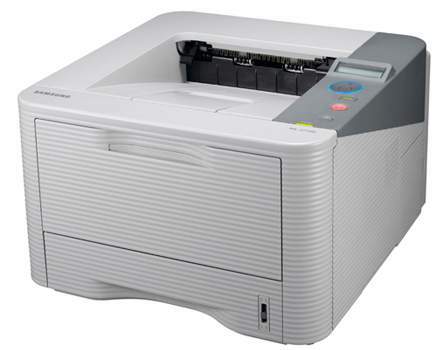 In addition, high speed, reaching up to 31 pages per minute for Samsung ML-3310 and up to 35 pages per minute for Samsung ML-3710 (using a sheet of paper format A4), is also one of the advantages of these printers.